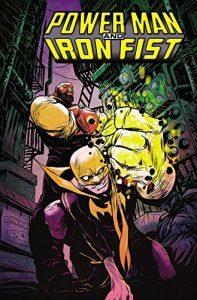 As a kid who read comics and grew up in the seventies and eighties, it was inevitable that at some point, I was going to collide headlong with Heroes for Hire. And when I did, as much as I wish I could say that it was love at first sight, that I instantly became a fan of the book and that it became one of my go to titles, but unfortunately, things didn’t quite work out like that. Even though my memory is a little fuzzy (one of those things that happens when you enter middle age), as I remember it I read a couple of issues, sort of liked what I read, but for some reason didn’t stick with it and went straight back to ROM, Batman and 2000AD. 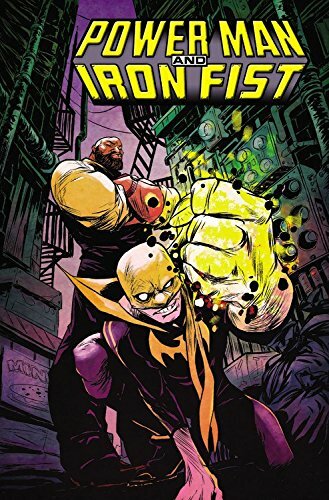 It took more than two decades for me to become a ‘fan’ and that only happened when Ed Brubaker began writing Iron Fist and Brian Michael Bendis made Luke Cage a pivotal player in Marvel’s premier superhero team during his run on Avengers. So, more than three decades after they first crossed my comics radar, and having become a fan of each thanks to their spate endeavours over the years, it’s time for the “band” to get back together and for Danny and Cage to dust off their Heroes for Hire attire, get back in the ring and clean the crime and low life grime off the streets of New York again.